"I hand selected these speakers because they will inspire and challenge the attendees to look within themselves to pull out their gifts of greatness which will help them to achieve ultimate success," said Marshall. In addition, SPEAKERS Magazine publisher, Pam Perry, will be onsite doing podcasts, live-stream videos and real-time social media updates. She adds, "This year we want to re-evaluate if women today are proactively climbing the right corporate later. Women are more vocal now than when we first started the conference nine years ago. The goal of this event is empower women with resources, information and connections to help improve their business, career and life." Marshall is a former corporate executive and leadership trainer for Fortune 500 companies including Merrill Lynch, Prudential Securities, Johnson & Johnson and the New York Times. She also has a radio show called Be Lifted Up, which airs on 1190 AM WLIB in New York that she co-hosts along with Alfred Edmond, Jr., Senior Editor of Black Enterprise Magazine. "Dee has wisdom beyond her years and has an authentic and classy style that brings a presence when she enters a dining room or a boardroom. When you see Dee, you want to meet her and hear what she has to say. She is a walking empowerment machine," said Perry. 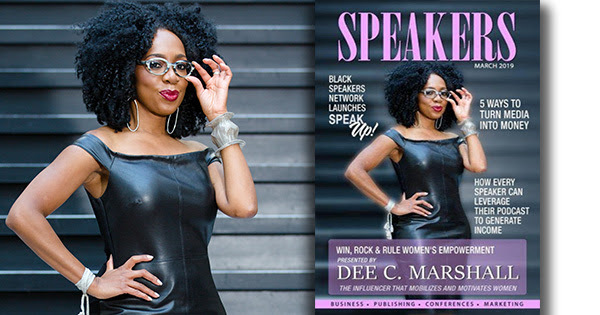 Readers of the magazine, which is the official magazine of the Black Speakers Network, can download the issue for free from the website at www.speakersmagazine.net. As the spring season approaches, SPEAKERS Magazine brings a fresh collection of articles that include "How Easy is it For You to be Visible With our Work?" This piece goes over how to create social media "containers" for your media appearances, by Stephanie L.H. Calahan. Another article written by Dr. Avis Jones-Deweever, "5 Ways Speakers Can Turn Media into Money," gives practical and profound nuggets of critical information that speakers can immediately employ. One of the hottest subjects currently being discussed is podcasting. This month's issue of SPEAKERS magazine features an article entitled "How to Leverage Your Podcast to Generate Income" by Jay Jones. ● Cynthia W. Roseberry, who has two decades of experience as an attorney, activist, law professor and fighter for justice and will be featured on BET in a clemency segment. ● Rosanne Reid is The Dream Monetizer, who has a big heart and passion for people. She is an international best-selling author, speaker, lifestyle coach and business consultant from Jamaica. ● Renita Hunt is a dynamic empowerment speaker, influencer and marketing communications executive. "Each month we feature awesome events for personal and professional development and where speakers can network. Our magazines are at each and every event too. 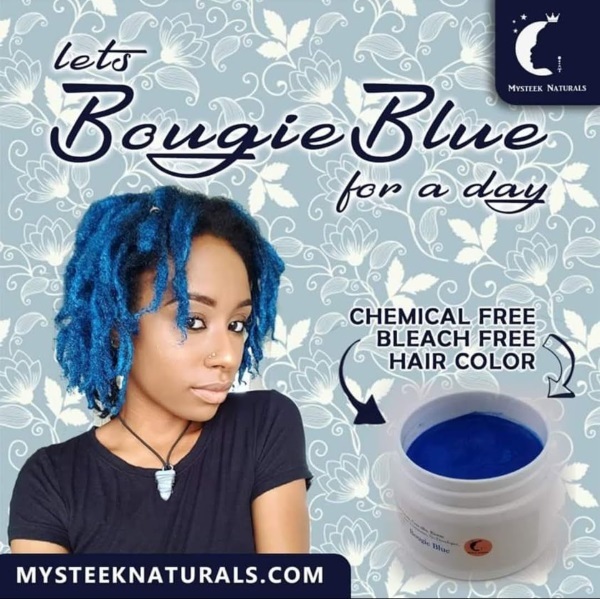 This month we are featuring Nicole Roberts' national events, FindYourFierceTour.com (March 30); ImEveryWormanExpo.com (March 30); and Dee C. Marshall's annual event (Friday, April 5), WinRockRule.com. You don't want to miss showing up for these events. Those that show up, go up," said Perry. To download the current or previous issues, view the speaker sizzle reels of our featured speakers or to learn about SPEAKERS, visit www.speakersmagazine.net or call (248) 690-6810.